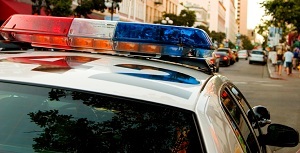 During the “Avoid the 100 DUI Winter Campaign” of 2011, 2,406 arrests for DUI (driving under the influence) were made throughout Los Angeles County. This year, there will be a similar effort to crack down on drunk drivers. According to a news report in The Glendora Patch, between December 14, 2012 and January 1, 2013, there will be 72 DUI checkpoints, 153 local DUI saturation patrols, and 25 DUI warrant and probation sweeps in Los Angeles County. Additionally, the California Highway Patrol (CHP) will utilize all available officers during Christmas and New Year’s weekends. Motorists should be on the lookout for DUI checkpoints throughout Los Angeles County. On December 14, 2012 alone, there were DUI checkpoints in Claremont, Downey, El Segundo, Hollywood, City of Industry, Malibu, Redondo Beach, Huntington Park, and Pasadena. This is an indication of things to come in the next two weeks. DUI (driving under the influence) task force officers strategically setup checkpoints in busy areas where they suspect drunk drivers will travel. Checkpoints are not allowed on interstate highways. Therefore, roadblocks are often set up along major thoroughfares that lead to highway entrances. One way to potentially avoid a DUI trap is to remain on secondary streets that are away from busy roadways. It is also common for officers to set up roadblocks near restaurants and bars that remain open late at night. 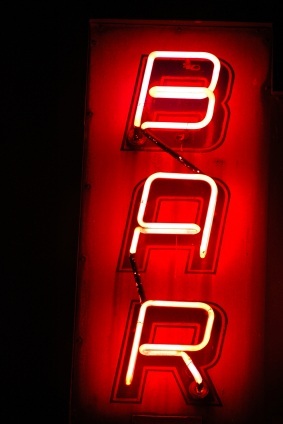 Main streets that have multiple late night establishments will likely be ground zero for police officers looking to fill their DUI arrest quota. If you are spending a night out in these types of areas, it may be in your best interest to follow real-time checkpoint information through social networking sites such as Twitter or Facebook. 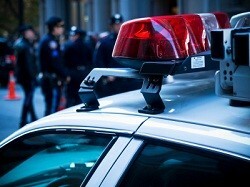 If you are approaching a DUI checkpoint in California, it is important that you do not act suspiciously. For example, it is not in your best interest to hastily make a U-turn to avoid the roadblock. Most DUI checkpoints have at least one officer waiting in a “chase” car that is ready to track down drivers who are attempting to avoid the checkpoint. 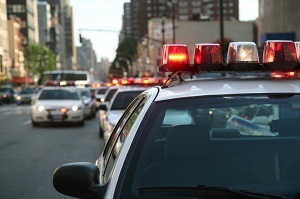 They commonly assume that anyone avoiding a checkpoint is afraid of facing an arrest. Los Angeles police officials carried out an intensive effort the weekend before the busy Memorial Day holiday weekend to catch DUI (driving under the influence) drivers. According to a City News Service report, LAPD operated a checkpoint on Vermont Avenue between Pico Boulevard and 12th Street in the Pico-Union district and another on Manchester Avenue between Hoover and Figueroa streets in South Los Angeles. A sobriety checkpoint was also held on Sherman Way between Sepulveda Boulevard and Orion Avenue in North Hollywood. On the city’s eastside, a saturation patrol was conducted near the Hollenbeck Station. All of these checkpoints and saturation patrols are funded by grants from the California Office of Traffic Safety through the National Highway Traffic Safety Administration (NHTSA). With the unofficial start of summer next weekend, law enforcement agencies in Southern California will begin to step up their DUI enforcement efforts with sobriety checkpoints, saturation patrols, and enhanced joint task force efforts. Under the law, officials are required to give drivers notice of these checkpoints so that they have the option to avoid them. Also, officers cannot arrest a driver solely based on the fact that he or she attempted to turn away from a checkpoint. In addition, the checkpoints are always required to have a supervising officer present. If you have been charged with drunk driving as a result of being arrested at a DUI checkpoint, it is important to look into whether your rights were violated. The experienced Los Angeles DUI defense lawyers at Takakjian & Sitkoff have a long and successful track record of defending drunk driving charges that resulted from checkpoints or saturation patrols. Please contact us at (866) 430-8383 if you have been accused of driving under the influence. A sobriety and driver’s license checkpoint over the weekend in Costa Mesa resulted in eight DUI (driving under the influence) arrests. According to a news report in The Orange County Register, Costa Mesa police conducted the DUI checkpoint Saturday night through early morning Sunday at the intersection of Harbor Boulevard and Peterson Place. About 2,500 vehicles went through the checkpoint and 300 cars were screened. Police arrested seven people for driving under the influence of alcohol and one person for driving under the influence of drugs. DUI checkpoints have become extremely common in Los Angeles, Orange, and Ventura counties as the state cracks down on drunk driving. However, it is important to remember that even when you are arrested on suspicion of driving under the influence of alcohol and/or drugs at a checkpoint, it is possible to fight the charges successfully. A knowledgeable DUI defense lawyer can question why the defendant was randomly stopped and also challenge the validity of the checkpoint itself. It is possible for such charges to get dismissed or reduced in a California court. Checkpoints do not operate in a vacuum. Police departments are required to follow certain policies. For example, they are required to give adequate warning to drivers about the checkpoint. There must also be an available route for a driver to drive away from the checkpoint. You cannot be arrested solely on the basis that you chose to drive away from a checkpoint. Also, the law requires that supervising officers be present at the checkpoint. Los Angeles law enforcement officials are actively attempting to crack down on drunk driving by utilizing DUI patrols and DUI checkpoints. DUI checkpoint arrests are different from DUI arrests that result from a traffic stop in a number of ways. For example, police at checkpoints cannot prove that a person’s driving ability was impaired because he or she did not witness erratic or dangerous driving before speaking with the driver. Additionally, not all checkpoints are valid, and there are a number of mistakes that officers can make during the arrest. All Los Angeles checkpoints require a supervising officer in charge of the roadblock, a public notice as to where and where the checkpoint will be held, and a route to drive away from the checkpoint. When pulling up to the checkpoint, an officer may stop you to ask a few questions. If the officer suspects that you have been drinking, he or she may ask for your license and registration. Officers at checkpoints will also be looking for the smell of alcohol, evidence of alcohol, or slurred speech. If you have been stopped at a checkpoint or have been arrested on suspicion of driving under the influence, it is important that you remain calm, answer questions honestly, and cooperate with the officers. If you are worried that you will say the wrong thing, it is your right to refuse to speak without an attorney. It is important to remember, however, that refusing to cooperate will likely result in an arrest and a trip to the police station for an official DUI breath test. Gathering together to watch which team takes home the prestigious Vince Lombardi Trophy is a time-honored American tradition. Although this is a time for us to enjoy Super Bowl Sunday with our family members and friends, it is also usually the time when there is higher than average alcohol consumption. Whether you are watching the game in your favorite sports bar or at a friend’s house, it is critical that you do not drink and drive. The Los Angeles Police Department (LAPD) is beefing up its DUI patrols citywide this weekend with sobriety checkpoints, saturation patrols, and special task forces. According to LAPD’s statistics, over the last three years, drunk driving-related accidents have claimed 50 lives and injured 3,413 people just in the city of Los Angeles. 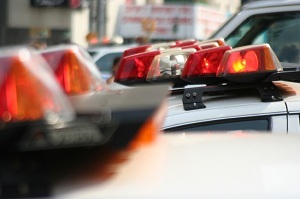 Right through the weekend, there will be several DUI enforcement efforts conducted by the LAPD. On Feb. 2, there will be a DUI saturation patrol in the Olympic area from 8 p.m. to 2 a.m. On Feb. 3, a sobriety checkpoint will be held on Vermont Avenue at 5th Street from 8 p.m. to 2 a.m. On Feb. 4, LAPD will conduct a DUI checkpoint at Foothill Boulevard and Hubbard Street from 8 p.m. to 2 p.m. On Super Bowl Sunday, a DUI saturation patrol will be held in the 77th Street area from 12 p.m. to 8 p.m. 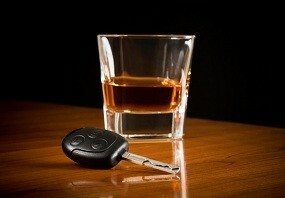 It is not worth it to get a DUI this weekend or worse, get into an injury accident. If you are planning, or attending, a Super Bowl party where alcohol will be served, please plan ahead and designate a sober driver. 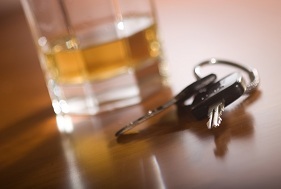 In Los Angeles, a DUI can prove extremely costly. Some of the consequences of a DUI conviction include: jail time, loss of driving privileges, an increase in auto insurance rates, and mandatory installation of an ignition interlock device.